My number one issue with most green juice recipes is that they are always too sweet. Most classic green juice recipes call for the addition of apples or pears, which makes the drink much sweeter than anything I'd ever want to drink for breakfast (or really at any time of day!). 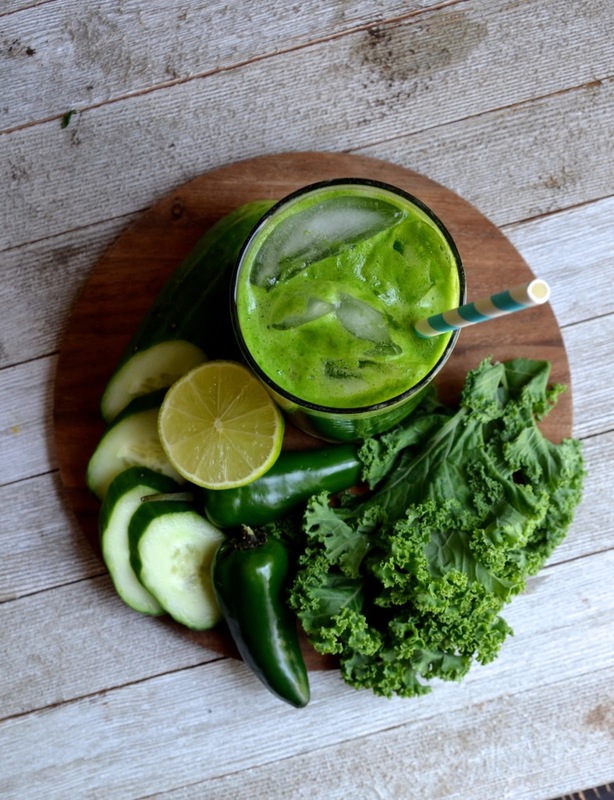 That's why I love this spicy "just greens" recipe--it's spicy from the jalapeño and hot sauce, a little bit tart thanks to some fresh lemon juice, and very refreshing. It's a perfect drink to enjoy in the morning, or add a little booze for a "green Bloody Mary" alternative to serve with brunch. I recommend gin or tequila for a fun twist on the classic! You'll need a juicer for this one, but it doesn't have to be anything fancy. I have this super affordable Hamilton Beach juicer that I bought on Amazon (affiliate link), and while no means the best juicer in the world, it totally gets the job done. 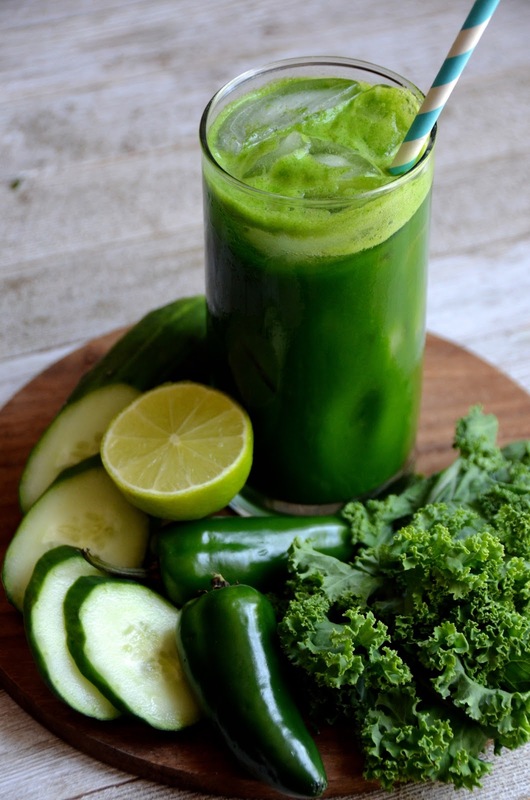 This spicy and refreshing all-veggie green juice is the perfect kickstart for those who prefer savory beverages in the morning. Serve it very cold over ice, and feel free to personalize with additional hot sauce or lime juice, as desired. Pour into a small pitcher and stir in lime juice, kosher salt, and a few dashes of hot sauce, to taste.